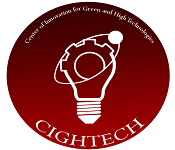 Cightech is a private innovation center that is designed to open up new opportunities by novel ideas, to be a hub for associate partners who are professional in multidisciplinary fields and contribute to high-tech project management. Cightech is connected to a number of academic professors and industrial experts worldwide. We discover a common interest between our associate members and integrate them in a research or R&D proposal that will be submitted to a proper funding agency. We actually, create new high-tech ideas that can be achieved by suitable associate partners and generate new project proposals for funding from government and/or industry. After allocating the budget we systematically manage the process in association with other professional partners to achieve promising outcomes that may be prototypes, research reports, scientific papers, etc. Cightech will be an independent partner in any project with budget defined in any proposal. Cightech will also support high-tech professionals by helping them to promote their products globally and by supply their research by several research facilities and services as well. The International Journal of Pharma and Bio Sciences (IJPBS) is an international online journal in English published quarterly. The aim of IJPBS is to publish peer reviewed research and review articles in rapidly developing field of pharmaceutical and biological sciences. This journal is an online journal having full access to the research and review paper. The journal aims to cover the latest outstanding developments in the field of pharmaceutical and biological sciences. The International Journal of Life science and Pharma Research(IJLPR) is an international journal in English published online quarterly. Aim of IJLPR is to publish peer reviewed review and research articles in rapidly developing field of Pharma and life sciences. This journal is an online journal having full access to the published review and research papers. The journal aims to cover the latest outstanding developments in the field of life science and Pharmaceutical sciences specifically in their respective branches. From Middle East, Tabeeby has emerged connecting people to healthcare providers. Since then we succeeded in raising the medical and health awareness among the population, taking the charge and we are in the pole position. Recently, Tabeeby has been developed into a modern format following a comprehensive upgrade to become the first unique and true Health Social that ensures easy, swift and fast access to thousands of doctors, medical entities & Medical events. Tabeeby has been featured as a media partner and created a recognition in hundreds of Health and medical events across the world, promoting their activities across our platforms to thousands of healthcare providers and millions of visitors. Acknowledging that the foremost valuable treasure in life is good health, Tabeeby uses state-of-the-art technology and up-to-date social media innovations to highlight the concept of prime health in our daily life. Asian Manufacturers Journal (AMJ) is an online trade magazine that reports mainly the products made by Asian countries. There are totally 25 product categories. It is a direct and simple way for the worldwide buyers and importers to search for their required products. It also helps the Asian manufacturers or suppliers to display their products clearly in a systematic way so as to develop their export business. World conference alerts is basically an online platform where you can get the details about the conferences, seminars, workshops and other related events. These are the events where the best minds can share knowledge and their research outcomes and help the modern world to get the maximum utilization of knowledge. ResearchBib is a free academic database that indexes and provides open access to peer-reviewed journals, full text papers, research conferences & positions. We share a passion to build research communities to discover and promote great research resources from around the world and maximize researchers academic social impacts. Business1.com is the base of the international business-to-business "1.com" websites. Instead of having one large directory of companies in all kind of industries, we have chosen to have one specialized website per industry as a meeting place for companies active in that kind of industry.